Norts. I have lived down here for more than a decade and I didn’t even know these things had a name until this year. I am pretty sure the obsession with them is a regional thing to the South (not just general use, but obsessive use) and I think it is more confined to the college campus than anything else..Nike Shorts- Norts. The reason I think the obsession is confined to the South is because of the exchange students I work with. Every year they come from around the country and comment on the styles of dress here, and the thing they have been highlight lately are Norts. I once knew of a student who had 19 different pairs, all in different colors- 19! 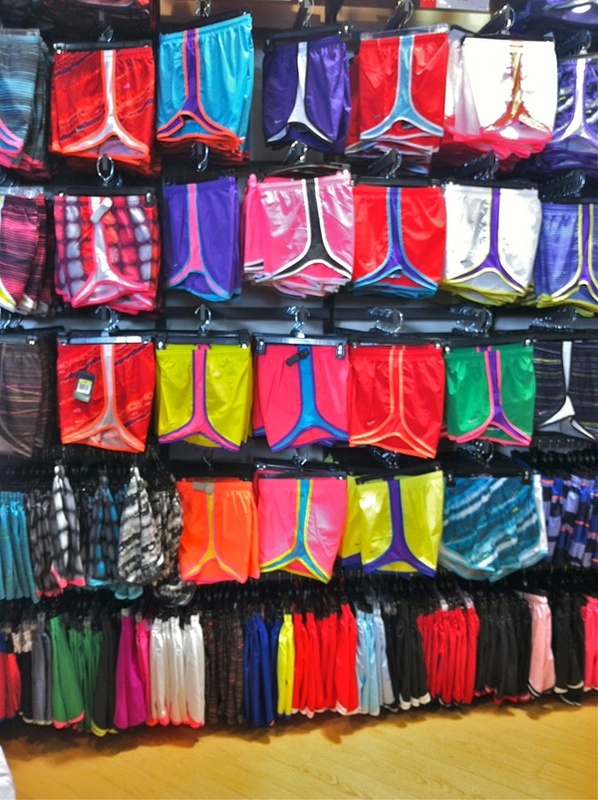 Girls wear them all the time here. To class, to a meal, to work out in. I think we even had a student assistant wear them to work in our office one day (I am pretty sure someone had a chat with her about that). Norts make up a part of the unofficial uniform of the young woman in 2012, at least in the South. Please note the extra Southern touch of the monogram in the picture above. Please note all the colors in the image below. 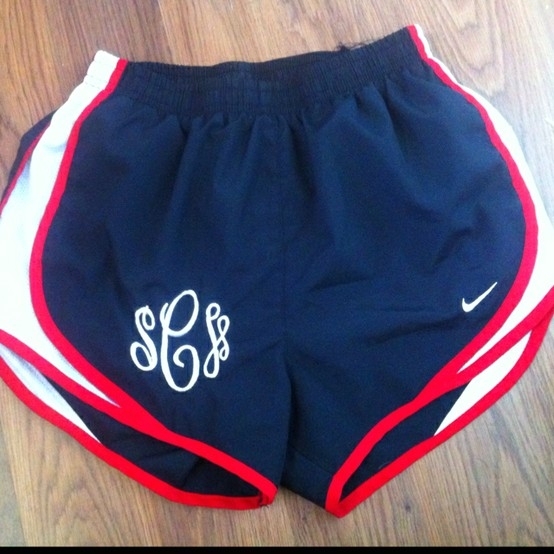 So, anyone out there own a pair (or 10) of Norts? Or, own a pair and not known they had their own special name? This is the first translation tuesday that completely stumped me! I gotta get me some! Love them!